Contact usTODAY AND GET A FREE ESTIMATE! We can help you build the foundation or basement of your dreams. 100% satisfaction guaranteed! Get Started Now! we are your local concrete solutions provider! Our experience and knowledge sets us apart from the competition in every way. 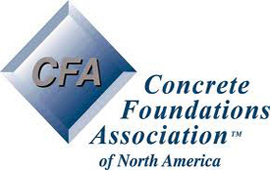 We are a contractor company providing concrete services to the Piedmont region of NC, including the Greensboro, High Point, Winston Salem and Burlington regions of North Carolina. Our expertise is in project design, poured concrete foundations, retaining walls, basement waterproofing and more. Contact us today and find out why we are the best in the business! Allowed file types are MS Word, Excel, PDF, JPeg, Gif or PNG. Our concrete consultants are the best in the business and have over 30 years of experience serving the Piedmont region of NC.